Updated 12/10,11/17. About four years ago we could observe by naked eye comet C/2014 Q2 (Lovejoy). This year in December, we expect to see periodic comet 46P/Wirtanen. Now, we have actually chance to see two comets! Comet 46P/Wirtanen has period 5.44 years. This year it will be as close as just 0.08 AU from the Earth, and it could be as bright as 3 mag! 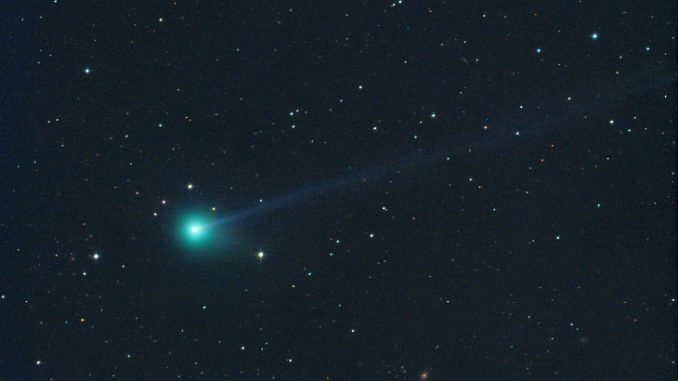 We have good chance to see comet 46P in December as an circumpolar object. Comet C/2018 V1 (Machholz-Fujikawa-Iwamoto) is very surprising. 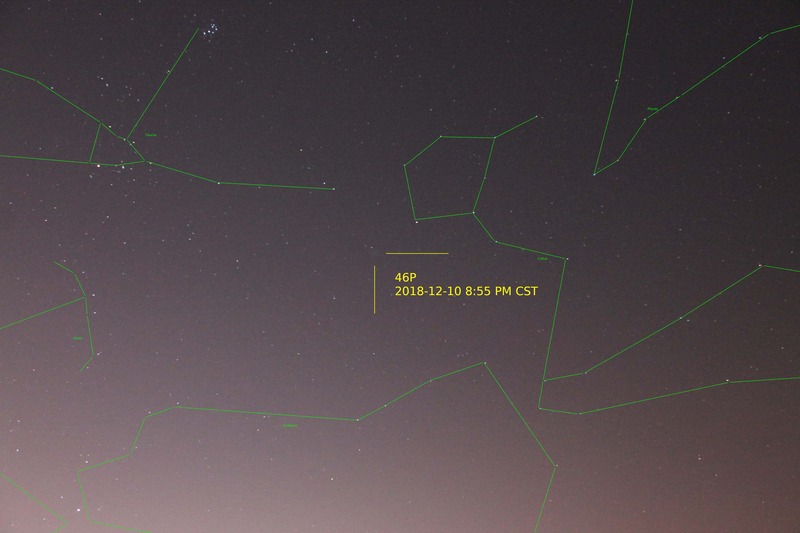 It was discovered less than week ago, on November 13, 2018 – visually! Since it’s discovery comet increased brightness by 3 magnitudes, and now it on morning sky as an object 8 mag and it is possible to observe it by binoculars! Comet will be observable till end of November, then it will be too close to the Sun. It’s moving in Virgo, by end of November will be in Ophiuchus. There are estimates, that it could be bright about 5 mag. On December 3rd it will pass perihelium 0.39 AU from the Sun. 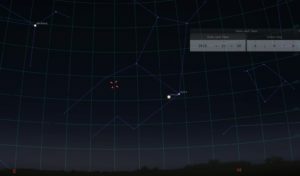 On the screenshot from Stellarium for Tuesday morning November 20 6 AM is comet in Virgo left of Venus about 15 degrees above horizon. It would be possible to see it from about 5 AM, but very low on East horizon, and unless there will be outburst, it will be impossible to see it by naked eye. 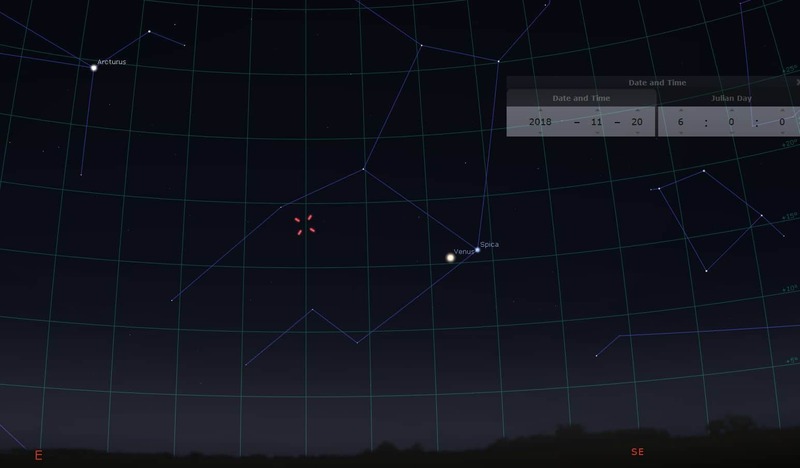 Comet is moving towards to Sun, and by end of the week it will be too low on horizon. There are also now observable two short periodic comets 38P/Stephan-Oterma and 64P/Swift-Gehrels with brightness 9-10 mag and long periodic comet C/2018 L2 (ATLAS) with brighness about 11 mag. Comet 46P Wirtanen on light polutted Rochester skies. Comet is heading to Taurus, on December 16 will pass M45. 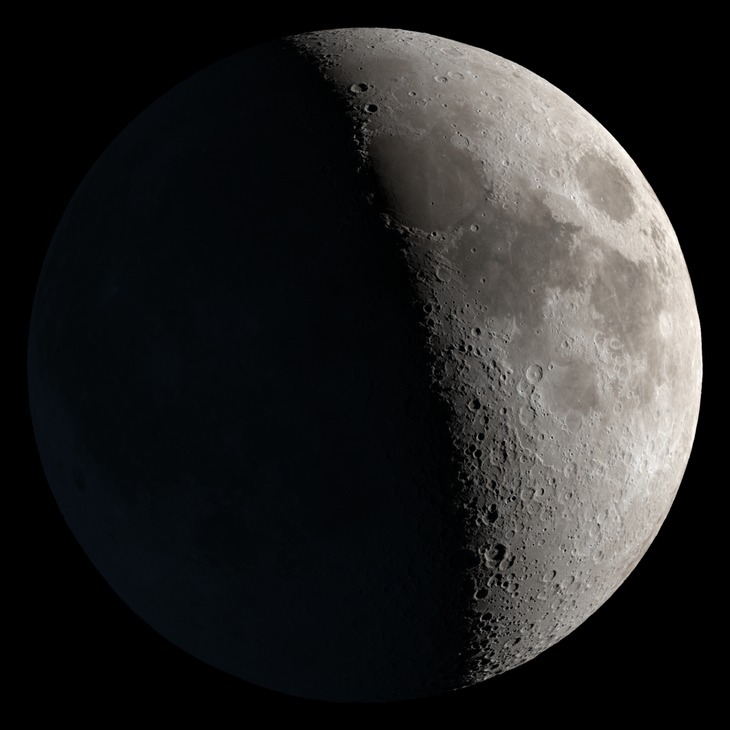 Now is opportunity to see it by binocular, it is easy to find it.